Barb has lived in the Kirkendall Neighbourhood with her family for 40+ years. Although she worked in religious education, teaching, union services and at government agencies, volunteering has always been important in her life. From Home &amp; School at Earl Kitchener to political activism to Boy Scouts to alley clean up and the Children’s Water Festival. Nowadays she spends a lot of time volunteering in various roles at The First Unitarian Church on Dundurn St. and supporting the growth and development of her 5 grandchildren. She has been a client at Kabuki since its inception. Alexis and her team regularly provide her with exceptional facial waxes as well as an array of other great treatments. She can always depend on their products to be natural, chemical-free and effective - they smell great too. Mary moved to the neighbourhood in 1982 and has been involved in many community activities since that time including the Locke Street Merchants Association, St. John the Evangelist Church and Brain Injury Services of Hamilton. She has been a regular client of the spa since it opened. Mary appreciates the natural products, advice and services offered by the amazing staff. What she likes most is Kabuki's service to other members of our neighbourhood, far and wide, such as SASHA, Syrian refugees and greening the world. "I try to support local small businesses that are also socially responsible". Meet client of the month Ravinder. Ravinder (Vin) Ruprai has lived in Hamilton, ON for twenty five years and graduated from the McMaster University Fine Arts Program with honours. Ruprai loves colour play and working with texture and pattern--a reflection of her East Indian heritage. The painting pictured was inspired by this past December's super moon. Vin loves coming to Kabuki for the natural products that we use and for how gentle her waxing experience is from start to finish. In August 2016 Kabuki Spa introduced "Client of the Month". Each month we feature a client of the spa who has made an impact to those around her or to Hamilton as a whole. We are so lucky to have some pretty dynamic, passionate and caring women in our community. If you would like to nominate someone please send us an email telling us why! November Meet Kabuki's November Client of the Month- Xanthe! Xanthe is a unique and passionate woman. She works at OHSO Fitness and loves helping people look and feel their best. Come to their open house Nov 24th and meet her in person and find out why she is so amazing. On November 24th, she will be hosting an all-day community wellness event. Free workouts and consultations will be provided by OHSO Fitness, alongside a yoga class, muay thai class, physio consults and osteopathy. All will be free of charge to the community. In addition to day-only membership promotions, she will be announcing a new form of training routine and fundraising initiative for the Around the Bay Race! OHSO will be releasing a special training package to prepare individuals for the race, and will begin fundraising through the studio as well. We are excited to expand our corporate social responsibility and become a part of this important Hamilton event. Xanthe's favourite Kabuki Spa service is facials! She loves how knowledgeable everyone is. August Meet Kabuki's first ever Client of the Month- Gail! Gail is very special to us, and to the community. She's involved in so many different things, just a few coming up are the Blooms for Africa fundraiser for Grandmothers to Grandmothers, International Day of Peace at City Hall and the 70th anniversary of United Nations. She's an amazing woman! September Introducing our Kabuki Client of the Month for September- Kim! 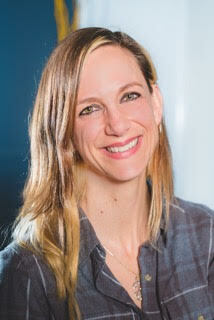 Kim is a holistic plant-based nutritionist with a passion for the environment and helping her clients. She also working on an upcoming volunteer project to go into schools to do presentation about healthy eating! You should check out her amazing blog at pickydiet.com for some delicious healthy recipes. You'll also have the opportunity to meet Kim and hear her speak at our upcoming skin seminar on the 22nd. October Octobers Client of the Month: Rachael Finnerty. Rachael is celebrating the opportunity to continue supporting youth (age 18-30) in Hamilton. Fletcher and Associates Inc. received federal funding this month to continue a program that provides youth with skill building opportunities in Health Care employment. October also marks being back in the classroom! Both as a professor of Music Therapy at McMaster University and with the An Instrument for Every Child program - expanding music education opportunities to students in over 10 Hamilton schools and the Boys and Girls Club of Hamilton. October also marks the start of the 10dB concert series at the LIVElab. Rachael is the co-chair for the Take Your Seat Campaign - if you have not experienced a concert at the LIVE lab yet - you should! It is the only concert hall/research facility of its kind in the World - and it is right here in Hamilton!